Moving Service is a removal company which prides itself on giving you the very best service as well as the most attractive prices. When moving to Colindale, NW9, we can give you that extra knowledge and expertise that comes from hiring a company that knows the local area. We are a moving company that also takes extra care to have the kind of employees you want to have helping you move a house. As well as being fully vetted and extensively trained in all aspects of house moving, you will also be delighted to know our staff is very friendly, helpful and polite. The transport we have for you is second to none. Removal trucks and vans which transport your belongings are in style. As a whole, we give you a professionalism it can be hard to find in other moving companies. In addition, we offer an amazing price and make sure your home move to Colindale gets off to the very best start. To find out more about our removals firm, you can call us now on 020 8746 4402.We'll answer any questions you have and also give you a free quote. We want you to have the very best moving day possible and the best way you can do that is by giving us a call. It is a suburb in North London, and part of the borough of Barnet. Named after a local family in the 16th century, it's around 8 miles from Charing Cross. It has a number of major roads within the district including the A5, Edgware Road, Colindeep Lane, Colindale Avenue and Cottingham Drive. The junction of Colindale Avenue and Cottingham Drive is just west of Colindale tube station which is on the Edgware branch of the Northern Line, situated between Hendon Central and Burnt Oak. A well known natural landmark in the area is the Silk Stream. This 4km long brook is a tributary of the River Brent and passes through Hendon as well as the area. The Silk Steam has its own tributary, the Burnt Oak Brook, which runs for one mile between Mill Hill and Burnt Oak. To the west of the area, on the western side of Edgware Road, lies the areas of Kingsbury and Queensbury. Within Colindale's postcode of NW9 you'll also find the RAF museum at Hendon Aerodrome, a 7 minute bus ride from Colindale tube station. We Are the Colindale Moving Company With the Best Prices! Our experience in carrying out all types of removals counts for so much when you're moving a home. If you're a student moving then we have, for example, a great man and van service for you which will keep you under budget and make sure your belongings get to your new accommodation safe and sound. It may be your family moving and you need more than one removal truck and also some extra services which we can provide for you. For instance, we can help you with packing services and with supplying packing and packaging materials. Quite simply, when it comes to removals across Colindale, NW9, we are the best removals company you should call. From the moment you contact us to the moment you're settled into your new home, we'll take care of everything for you so it makes your home move less stressful. Your complete satisfaction is our ultimate goal and like our previous clients you can look back on a happy moving day. So call Moving Service on 020 8746 4402 and we can confirm just how great our prices are as well as give you any other information you need. 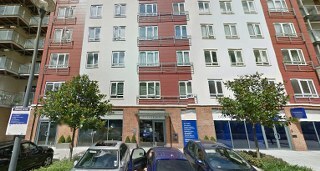 The best way of moving to Colindale is by hiring our help. Very happy with their man and van service. It was the perfect choice to move my old furnishings over to my brother's house in NW9 so he could get a start furnishing his first home!